PAPERS looks forward to welcoming you to these annual opportunities for networking and education, designed especially for Pennsylvania's public pension fund representatives and those companies providing service to the pension industry. Click here to access a Presenter Application for PSERS Conferencesif you are interested in suggesting a topic and/or speaker(s) for one of PAPERS' two annual conferences. 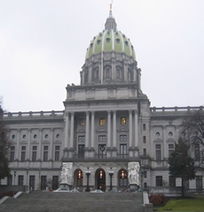 The mission of the Pennsylvania Association of Public Employee Retirement Systems (PAPERS) shall be to encourage and facilitate the education of its membership in all matters related to their duties as fiduciaries overseeing the assets of the pension funds with which they have been entrusted. It will be PAPERS' primary purpose to conduct an annual educational forum that provides the basis for improved financial and operational performance of the public employee retirement systems in the State. 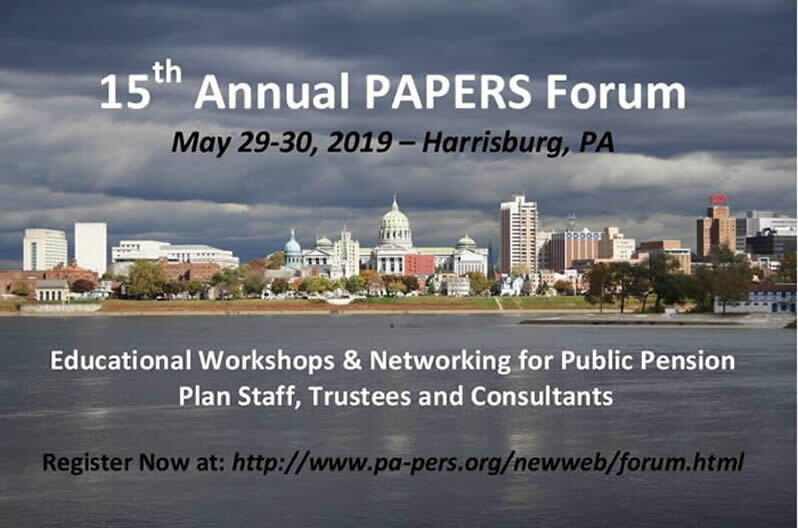 PAPERS will function as a central resource for educational purposes and act as a networking agent for all public plan staff and board members. To learn more about PAPERS, please click here. Welcome to the PAPERS website!!! Just below you'll find a link to the latest edition of the PAPERS newsletter (Spring 2019). Our goal is to provide interesting reading and a variety of points of interest to spark conversations in the realm of public pensions. I hope you find the following items as informative and interesting as I have. Thank you to those who have contributed articles and suggestions to this edition. I think spring is right around the corner. I’m not fond of snow and cold weather and I find the older I get the less tolerant I am of slippery roads and icy windshields. So imagine how happy I was last month to be invited to the Florida Trustee School to experience their high-quality sessions! Thanks to our board members Meredith Despins and Jonathon Davidson I was able to meet many presenters personally. I came back home with great ideas for PAPERS. I am thrilled to announce our May Forum for the first time will have a designated section to review fiduciary fundamentals. The fiduciary fundamental section will be the beginning of our NEW Trustee School and promises to provide a comprehensive overview of basic responsibilities. 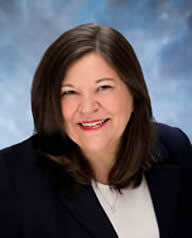 The more seasoned trustee will have the opportunity renew their basic knowledge of trustee responsibilities as well. I am truly looking forward to everyone attending this new section and providing me feedback on what we need to add or what we may subtract. The afternoon and following day of the forum will, as typical, have high quality sessions for all our members. I am excited to see everyone in May and it certainly will be warmer!! Click here for a conference registration form. Click here for hotel reservation details and driving directions. Save $$$ by registering on or before 4/29/2019! Click here for the tentative conference agenda. PAPERS has a new certification program designed to provide a high quality educational opportunity for public pension trustees, pension administrators and staff, and industry professionals to help them fulfill their fiduciary responsibilities. © PAPERS 2006 All rights reserved.